Meeting for Friday, September 23rd! Looking forward to seeing you all at 6pm this Friday the 23rd in 400 St. Pats for another Film Society meeting and screening. 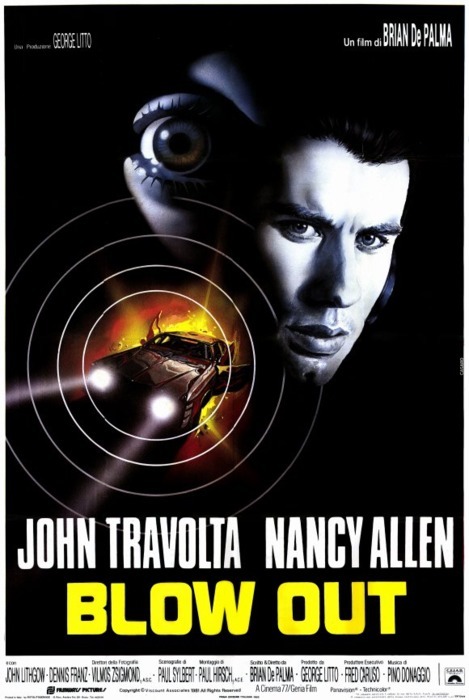 This week, we’ll be showing Blow Out (1981) starring John “Terl” Travolta and Nancy Allen and directed by Brian De Palma. "Wait, you're not Greased Lightning! You're an imposter!" Just a reminder: if you haven’t already paid your membership fee, it’s just $10 for the year. Or, if you’re looking to come for the one screening, it’s $2. See you all there!